Each year we look back and identify opportunities to improve the event and/or offer more value for your entry fee. With that mind, here is a listing of new features or changes we’ve added to the race in 2018. Sibling discount of 20%. You must, however, enter in person at the Arden Park Recreation and Park District office located at 1000 La Sierra Drive, Sacramento, CA 95864 to receive this special discount. Bike course reduced to one lap for all age groups. Based on overwhelming feedback and to reduce to the overall time of the event (as well as the age division start times) the bike course will consist of one lap for all ages. 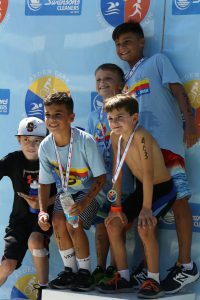 The 5-6 division will use the same bike course as last year (visit the Courses page for details and maps) while the 7-16 age groups will simply ride one lap of the same course as last year (visit the Courses page for details and maps) instead of two. This will also help improve our lap counting and scoring issues we’ve experienced in the past. Early Bird Registration giveaway! We understand that calendars are hard to manage and registering for events months away can be a challenge for parents. However, it helps race organizers tremendously to know how many participants we’ll have each year as soon as possible. 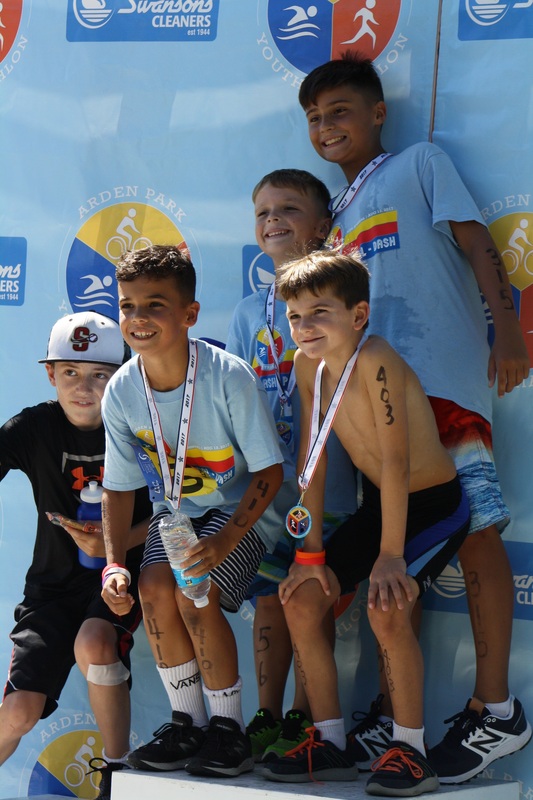 So, as an incentive to register as soon as possible, we’re offering a free Arden Park Youth Triathlon headband buff to the first 100 participants who register. Don’t be left out as these beauties will be a hit with kids and adults alike.